This work consists of two images and two machine-made monochromes of the last visible colours in the electromagnetic spectrum. These are purple (800nm) and red (400nm), respectively. The images are hand-drawn sections of both the roof of Sistine Chapel and an eighteenth-century French landscape painting. 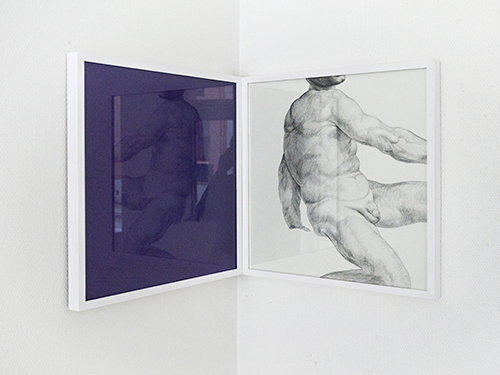 The two drawings are mounted at opposite ends of the same wall, and the monochromes at right angles to them, reflecting both the images and each other.